You are here: Home » Social Security Disability » Facts » What is Disability According to Social Security Law? Gain an understanding of the definition of disability as defined by the Social Security law and see how working while disabled may be allowed when applying for Social Security or Supplemental Security Income disability benefits. The word “any” in Social Security’s definition of disability means that in addition to being unable to perform jobs you have done in the past, to be considered disabled you must also be unable to work in occupations that are new to you. Stated differently, to be found disabled, you must be unable to perform any occupation that you could perform if you did not have your current physical and/or mental limitations. When Is Continuous Not Continuous? Let’s move the end of the definition of disability, which tells us that you must have been or be expected to be disabled for a continuous period of not less than twelve months. This seems pretty clear and yet a notable exception allows twelve months to be counted as continuous even if you work performing substantial gainful activity (SGA) before you have been off work for twelve months. Here’s how this works: If you stop work due to illness or injury and then try to go back to work full time or part time before you have been off for twelve months and you have to stop work again in less than six months due to the same medical or a related medical condition, the short period of work will be considered an unsuccessful work attempt. The unsuccessful work attempt does not start the clock over in counting the twelve “consecutive” months. In fact, the work is deemed not substantial gainful activity because you could not sustain it. Before some people finally stop working and apply for benefits, they make multiple attempts to return to work, each failing in less than six months due to health. These multiple work attempts can all be treated as unsuccessful work attempts. This is true whether the worker goes back to the same job or tries different jobs. To receive maximum benefits, it is important to claim the earliest date of cease work possible as the date your disability began, which would be the last cease work before the first short, unsuccessful work attempt(s). Our article How Do I File an Application for Social Security Disability Benefits? 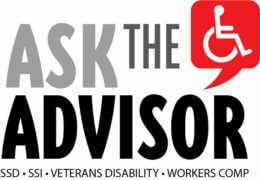 provides more information about determining your earliest date of disability. If you are uncertain of your choice, a Social Security disability attorney or a Social Security claims representative can help you pick the most advantageous date. When is $1,220 not $1,220? One other thing to consider in the SGA evaluation of a new claim is whether all your pay or all the pay of the disabled person you are assisting is actually earned. Sometimes a benevolent employer will keep a loyal employee on the job when the person’s productivity is substantially below the normal quality or quantity. Alternatively, the employer may allow a lot of absences without docking pay even though all sick or annual leave has been used up. In those two examples, the worker is being subsidized and is not earning the full wages being paid. If this is the case, consider filing a claim while you are still working and obtain a statement from your employer about the special accommodations you are receiving on Form SSA-3033, which you can download and print from this website to submit with your claim. This article provides a general overview of Social Security’s definition of disability. For a discussion of how the definition is applied to your Social Security Disability claim or your childhood disability benefit claim or your disabled surviving spouse claim, we encourage you to visit our article How Does the Social Security Administration Apply Social Security Disability Laws to Determine If I Am Disabled?